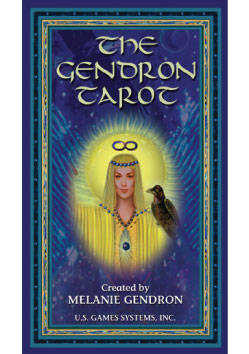 Inspired by The Sacred Feminine, The Gendron Tarot is an offering with a desire to help you become the Goddess you are. The Sacred Feminine is the absolute expression of love. Throughout time She has been known by a multitude of names and characteristics. 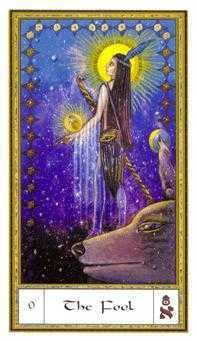 The ultimate parent, She provides unlimited access to Her wisdom through as many gateways, one of which is the Tarot. 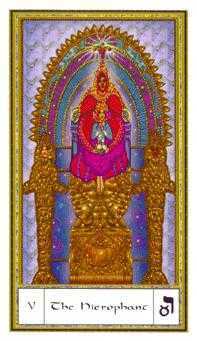 The Gendron Tarot, with roots in various ancient traditions, serves as an esoteric tool for expanding consciousness, and provides guidance on the road to self-actualization and Higher Self functioning. 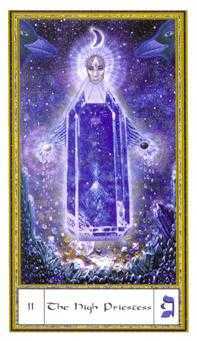 The creation of The Gendron Tarot deck proved to be a spiritually expansive commission for the artist. Hours of prayer, meditation, and ritual enhance the images. The cards were created intuitively while immersed in metaphysical study. Meditating on the symbology of each card, trusting your “sixth sense,” empowers the alchemical art of self-transformation to occur. As you let go of preconceptions, allow the images to reveal their meaning. Reach beyond material consciousness or ideology to see through illusion. Transcendence allows you to realize your true Divine Nature, that which is all-inclusive, accepting, and unconditional. Herein dwells the quintessential Goddess, the Source of Being, the healing, manifest Spirit of love, both tough and gentle. Embarking on life’s journey, the spiritual aspirant learns to live in accord with Divinity. The path to enlightenment is intensely personal with universal signposts along the way. Each of the 78 cards in a traditional Tarot deck carries wisdom through use of symbolic imagery. Contemplating the meaning held within a card and how it applies to one’s life increases knowledge of the Higher Self that heralds self-transformation. 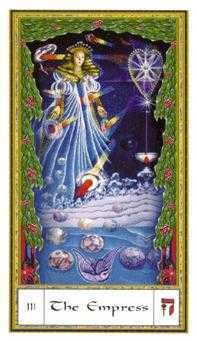 Of the 78 cards, the 22 Major Arcana represent cosmic principles. The remaining 56 cards comprise the Minor Arcana, and are divided into four suits: Swords, Wands, Cups, and Pentacles, each representing elemental and human attributes. 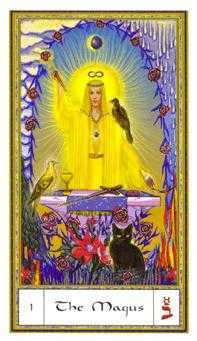 The Goddess is essential Oneness, beyond gender or duality, therefore certain cards remain traditionally masculine (The Emperor), while a few have Gods associated with them (Hermes the messenger with The Magus). 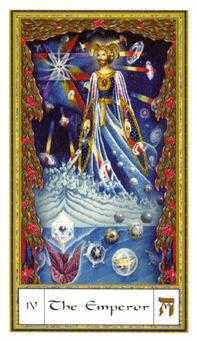 To enhance your understanding, timeless God/desses from the four directions (North, South, East, West) help define a card’s essence in the Major Arcana and each of the suits of the Minor Arcana. Archetypal in nature, these God(desses) emanate from the collective unconscious. They serve as a holy bridge to the infinite. Animal mythology further defines the energies or characteristics associated with each card or suit. Creative intelligence permeates Creation, providing continual access to Truth and Divinity. Trust yourself to realize what you need to know as you make use of this deck.